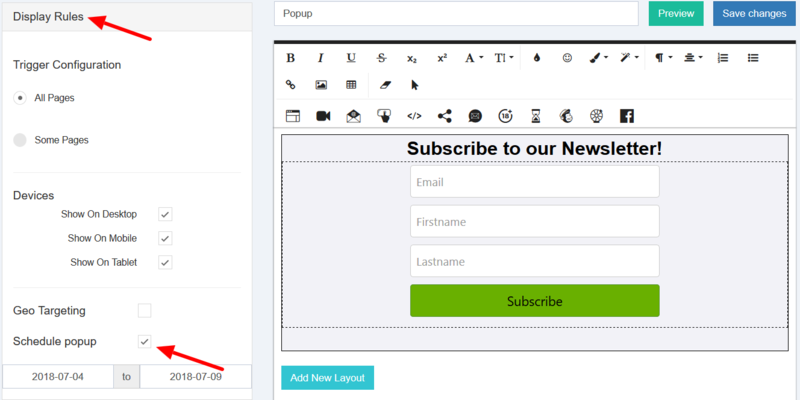 In the Display Rules section of the Popup Maker editor (the left side of the page) you can set a date range for your popup showing, with Schedule popup option. 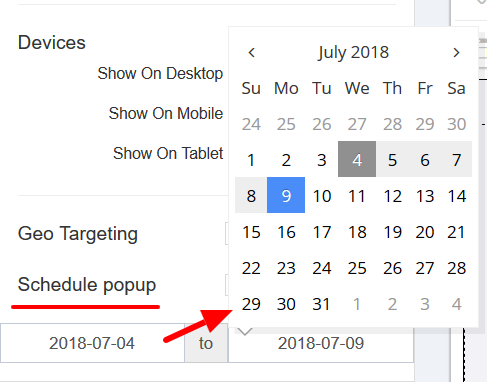 Click on the Schedule popup option and select the start date and end date for showing your popup. So in our example the popup will show from 2018.07.04 to 2018.07.09.